POLO-rised: a weekend menswear essentials — Image Consultant & Fashion Stylist for Men in India-I am Mr. I love my shirts and I am too obsessed with them. The reason: it has collars, something that defines my neck-line. But then I love to look casual too and round neck t-shirts are just not that perfect for my neck-line. So just to satisfy my greed to look casual and still get a feel of a man, there enters one of the most versatile dress-ential for a men's wardrobe: POLO Shirts or POLO t-shirts, call whatever you like, it just stays awesome. But lately, I have been seeing the way we men throw it on our body, it's horrific. I mean Bro, it's a polo, why the heck you need badges and fancy ideas on it? 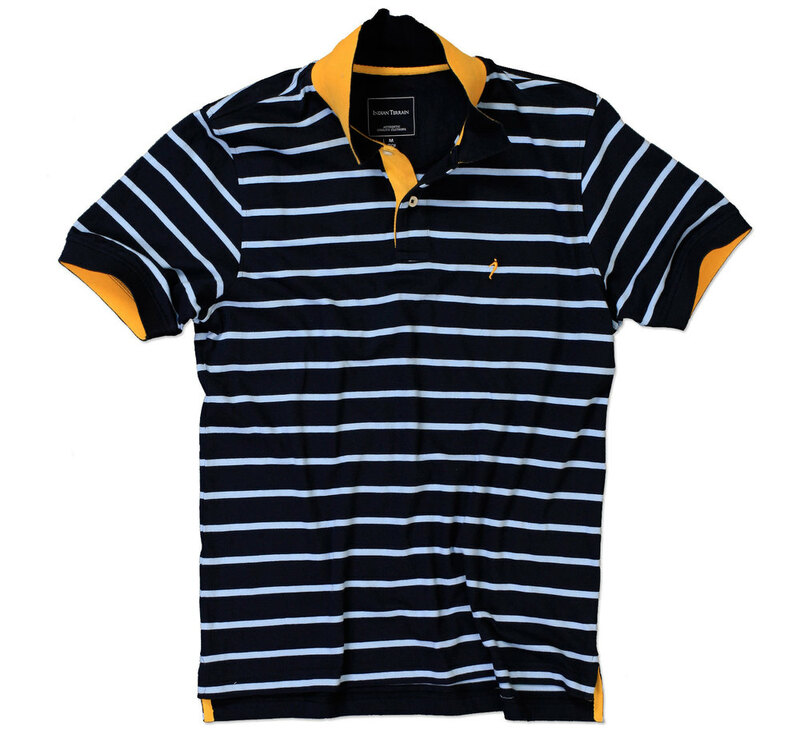 Keep the polo as simple as possible and rather make the whole ensemble fancy and eye-catching. Buying a polo is tricky and too get a perfect polo more trickier. So today I wouldn't go any further but to shout out loud for the brand in India that takes men's style and dressing up with polo's to a whole new standards. YES..it is none other than " INDIAN TERRAIN". This one brand has limits to what they make, a limit to achieve precision and class. Simple yet elegant, Unstructured yet well-fit. Check out the video below from none other than the COO of Indian Terrain and listen to what he says about this most amazing piece of men's clothing. So you my men...check next time when you decide to flaunt a Polo Shirt, make sure you keep this article in mind.